Somebody’s got a new toy! One of the CountryWoodSmoke-British BBQ regulars Alex, has just treated himself to a new ProQ Excel Elite Bullet Smoker, and shares his thoughts from his initial cook. 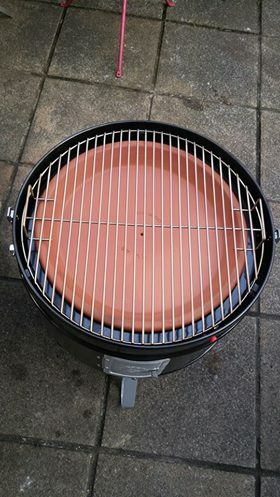 The one on the left is the Hot Top by www.BBovens.co.uk, it’s a new to market product that we’ve collaborated on to develop a woodfired oven with a solid top hot plate that you can also cook on, happy to say it works a treat. If you’d like any info on the ovens, recipes, support or just nonsensical banter I’m your man. 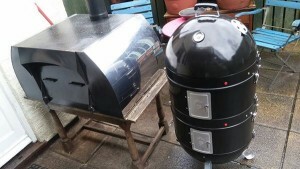 Ok, so my only real experience of hot smoking was in an old hot cabinet & chip scuttle combo I lashed together a couple of years ago in which I ended up with some very passable hot smoked pork shoulder, but then the wind blew it thing over breaking the glass doors. I rolled the cheeks in Sel Gris (unrefined sea salt) & cracked pepper, then marinaded them in Sharps Dubbel Coffee Stout for 30 mins prior to adding to the grill. A tip from Marcus was to add a ceramic plate to the water bowl section of the ProQ Excel 20 Elite. 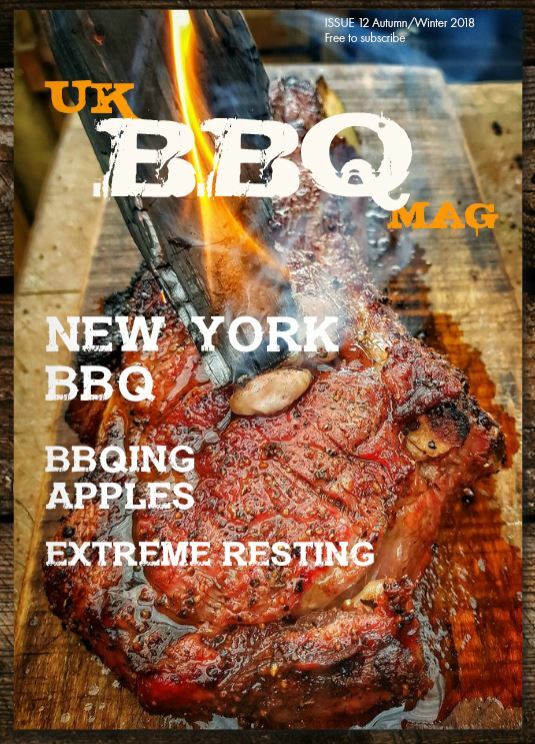 I read up a little on it and it made perfect sense, essentially adding a large heat brick which stabilises temperature and also extends the holding temperature, perfect for low n’ slow. A quick trip to the local garden centre and I found the perfect plate, I opted not to go for one that sat down in the pan as I still want to be able to add liquid to the cooking process occasionally, thankfully I remembered to bring along the water bowl and found a large plate that sits in the rim perfectly! Having been unable to find my power drill, (-10 man points) I had to resort to boring a hole in the center of the plate with a screwdriver, I intend to make several holes but to be honest I only needed one as its just to let air out of the bowl area for this first burn. I seasoned the whole set up by burning a full basket of lumpwood & briquettes with all vents and doors open, the ProQ ran at 230C (yes I’m using Centigrade, this is British BBQ after all!!) 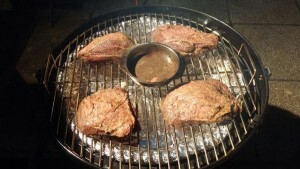 for 3hrs I then broke down the coals and set up for cooking, which I’ll talk about in my following post. Needless to say the ceramic plate mod works a treat. recommended. Great first cook Alex, the cheeks looked perfectly cooked. A great bit of kit, I’ll be thinking about upgrading from my ProQ Frontier to one of these at some point I think. Available on Special at £299 from Hotsmoked until end of March 2015. 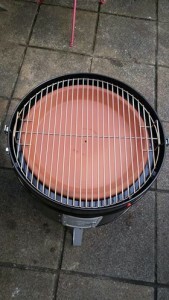 Fantastic review of some excellent food cooked on a superb cooker. We last spoke in the co op some weeks ago about what you used to serve in your mobile unit, smokers and the pro q. Glad to see you have joined the club and bought one. Have just come across your review on the pro q and have a few questions for you. When you lined the bowl with tin foil did you fill the bowl with liquid. you and again did you have liquid in the bowl. I suspect you did not. I was wondering if the meat stayed just as moist without liquid. I have now used my pro q on several occasions, each time with a full bowl of water. I struggle to get the temperature above 170 with all vents wide open. This does not really present a problem, low and slow, but it does take a long time to cook and I am having to throw extra coals through the little hatch. I am reluctant to dismantle the unit to refill the coal tray, as I will loose what heat I have and have to lift out a hot bowl of water. If it is necessary to use the pro q without water in the bowl, why have a water bowl, and do you think it might be a design flaw. Why not just have a thick steel plate. 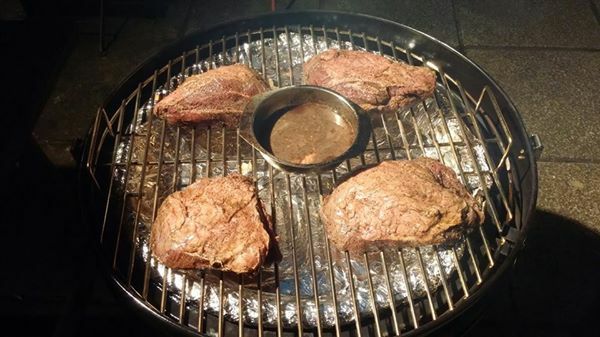 During your cook how long do you have the smoke going for. The first time I used it I had cooked whole chickens. 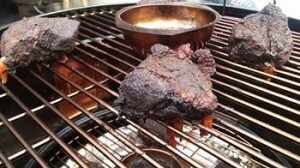 I had smoke going the whole time with small chunks of oak. 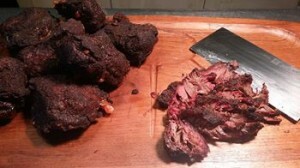 There was no way you could have eaten the skin but the meat was great and so moist. I have some hickory chips but haven’t used them yet. How do you apply the chips. Do you mix them in with the coals or pop them in a tin to smolder. Finally where did you get the ceramic dish. Thanks mate and look forward to hearing from you.